We all go head over heels over the Kids Celebrations! Children are the flowers of life that bring everyone endless happiness. Having a child is a miracle in its nature! 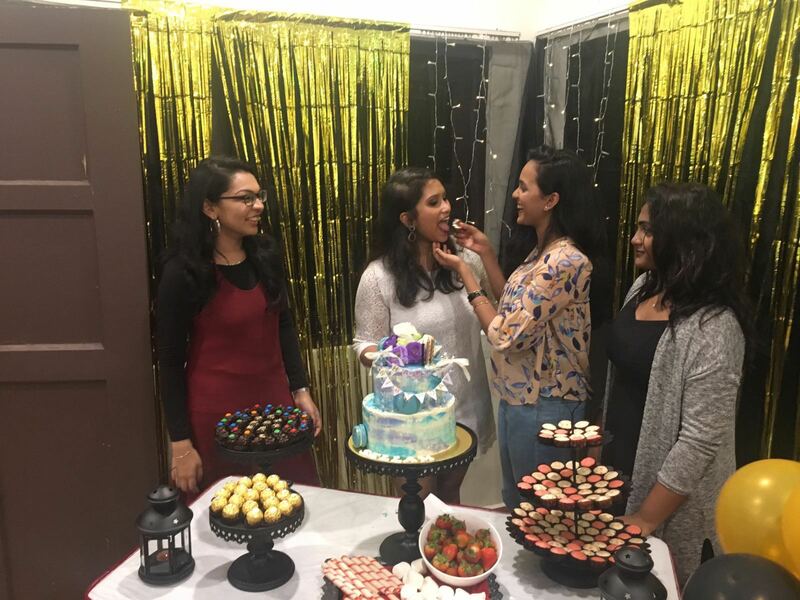 So whether expecting a baby or celebrating another milestone of a child, a big celebration will happen. Celebrities, just like others, adore their babies. We all want to give them the world. 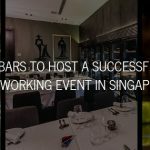 Hence, many want to maximise the experience and go with a special theme in which the celebratory bash will take place. Presenting you Your Guide on Best Celebrities’ Kids Celebrations which you can draw inspiration from! The famous Victoria’s Secret model has welcomed her baby boy in a jungle-themed baby shower. 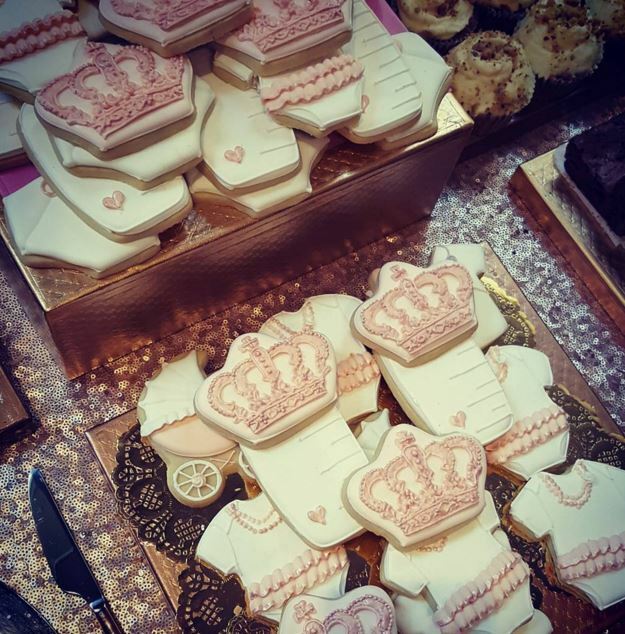 On top of that, Candice also revealed the name of her bundle of joy to the world in a creative way: through the dessert table! 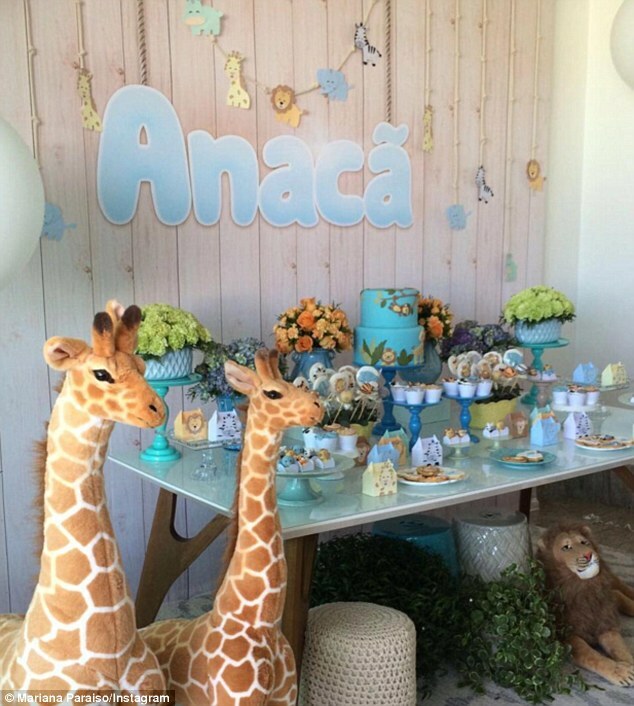 Anacã, a Brazilian word for a bird, was spelled out in light blue capital letters on the wall above the dessert table. Besides the name, the wall featured tiny animal motifs of lions, zebra and giraffes. Chrissy Teigen, model and the witty Twitter star has celebrated her and John Legend’s baby daughter with a fit of a Queen. The party — a multi-course luncheon — included bejeweled crowns, gorgeously decorated cookies, and elegant place settings. Most worthy, all of the guests were wearing crowns! Thus, the Celeb Mom was looking effortlessly chic in a stylish outfit and a BABY MAMA on her crown. In the meanwhile, John Legend was rocking the same accessory with a BABY DADDY sign. Could this baby shower be any cuter? 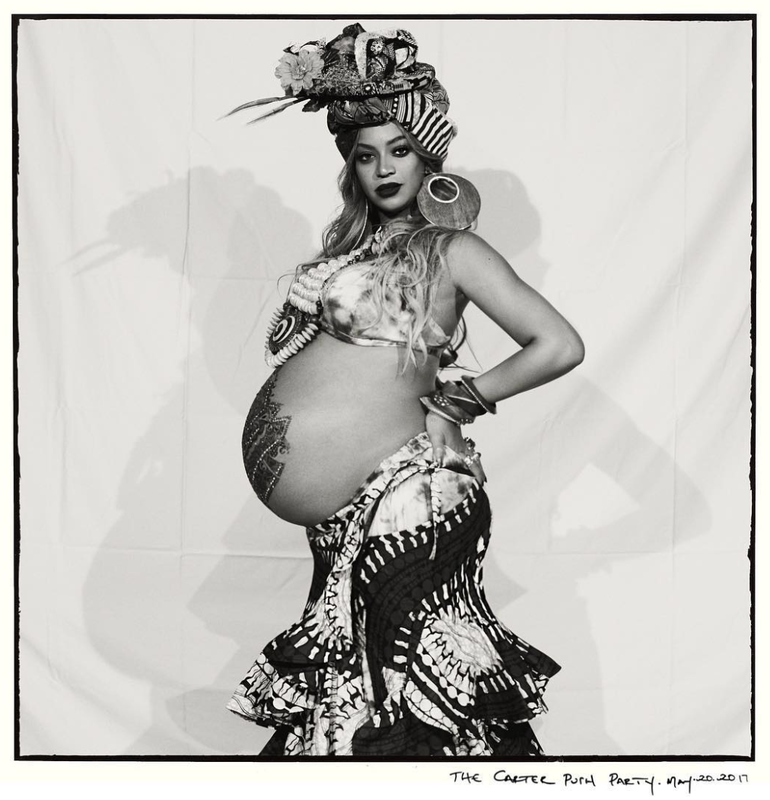 The most famous couple of the century marked the upcoming arrival of twins with “The Carter Push Party,” held at a private Beverly Hills Residence. 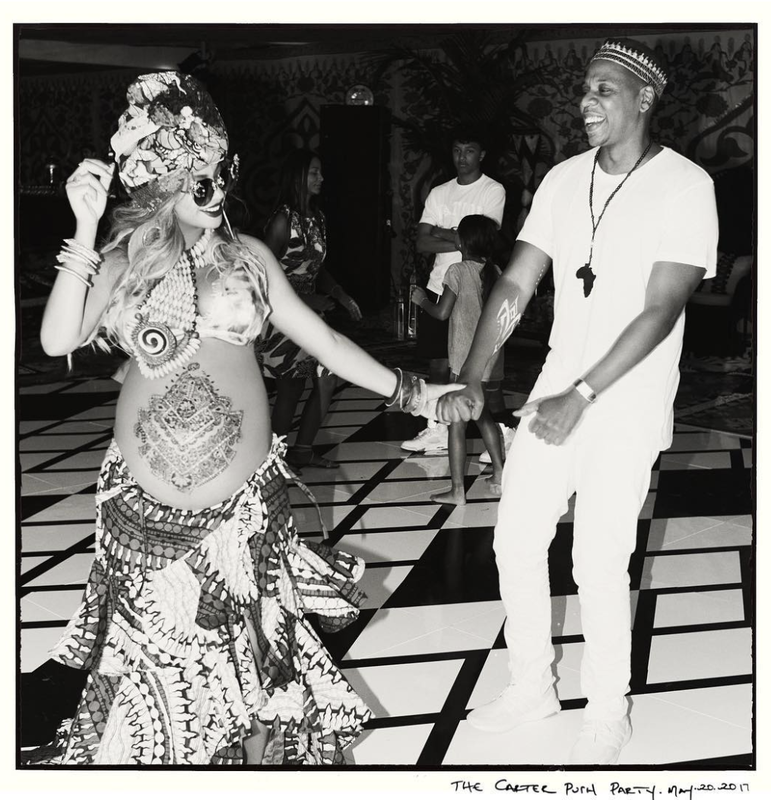 There, the glamorous African-themed baby shower featured the “Flawless” Diva dressed in traditional African attire, proudly displaying her pregnancy with a design painted on her expanding belly. 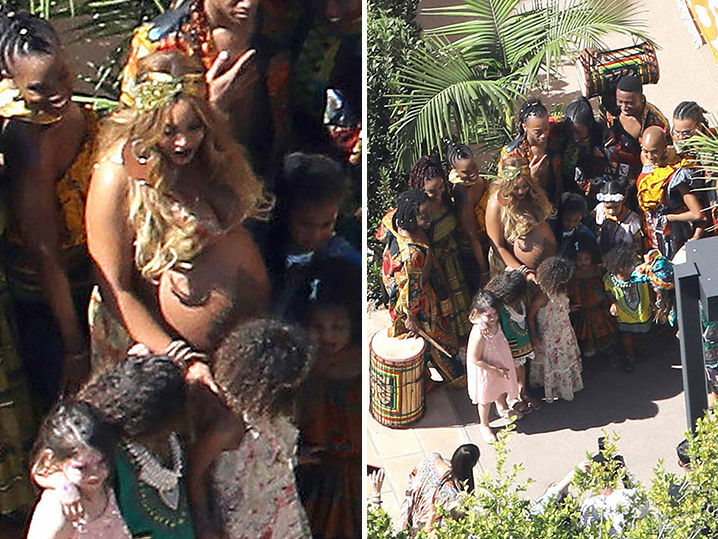 Similarly, her husband, Jay-Z and her daughter Ivy Blue, along with the rest of the guests were living to the African cultural traditions too, with their colourful dresses and non-stop dances! One of the Kardashian sisters, Khloe followed her sisters’ footsteps in throwing a beautiful over-the-top baby shower. As a result, she celebrated her first child, a daughter, with boyfriend Tristan Thompson in an epic way. 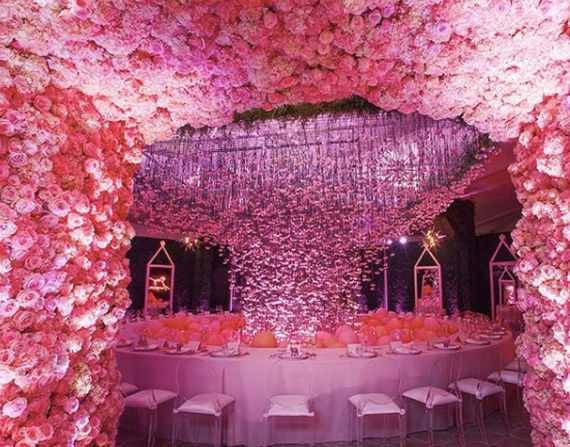 The babyshower included a hall, drowning in pink flowers, lots of pink balloons and a neon sign “Baby Thompson” written in Kris Jenner’s handwriting. “Everywhere you looked, the attention to details was very impressive. It was truly the most special and fun shower” – exclaimed the guests. 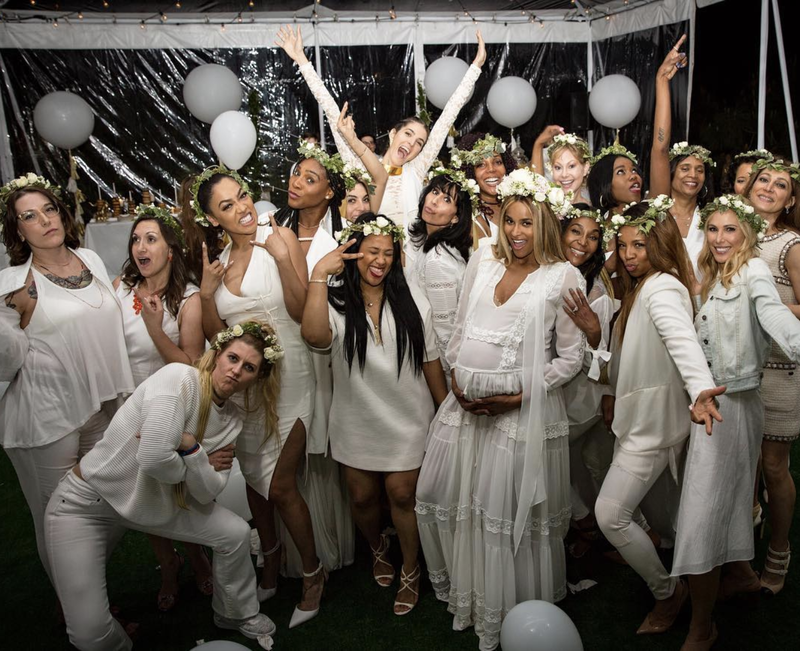 Ciara threw a baby shower to celebrate the baby’s arrival in a special way. Looking at the pictures Ciara and the guests have shared, the event was an ethereal, All-white celebration. 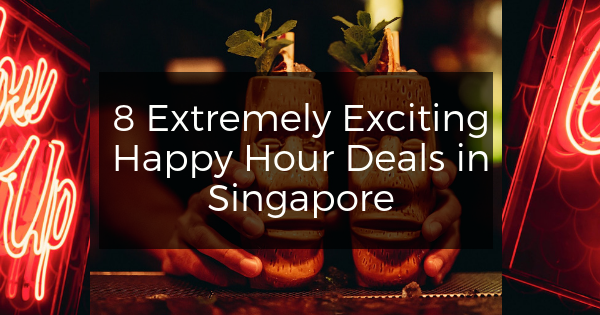 With flower crowns and lots of laughter! 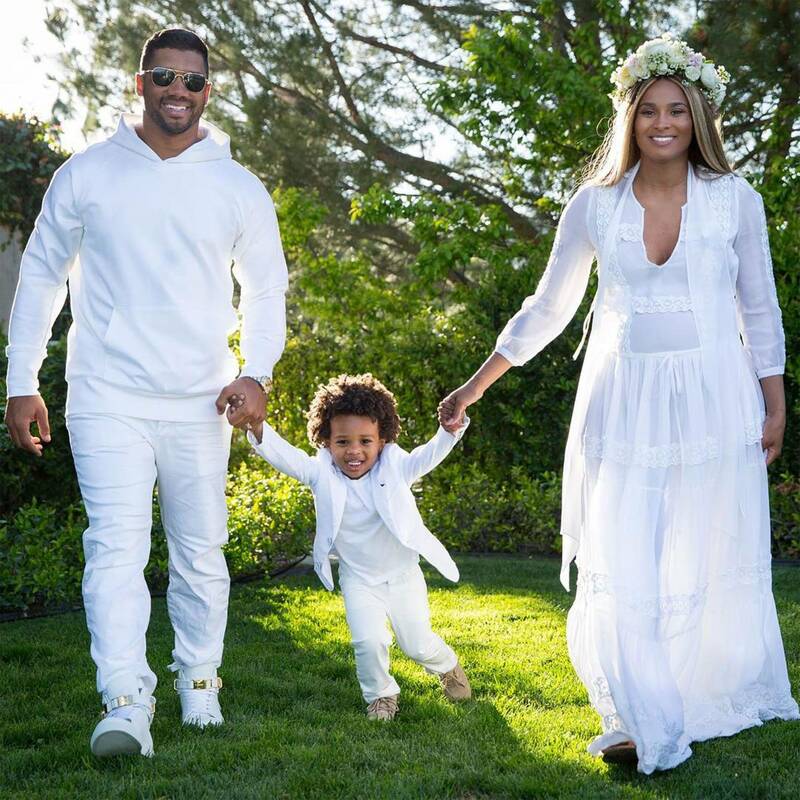 Furthermore, her football star husband, Russell Wilson, and their older son got the dress-code memo too 🙂 Isn’t this babyshower angelic in all ways possible? Kim and Kourtney Kardashian have put together a joined birthday celebration in a mermaid theme. Actual Disney princesses were involved! 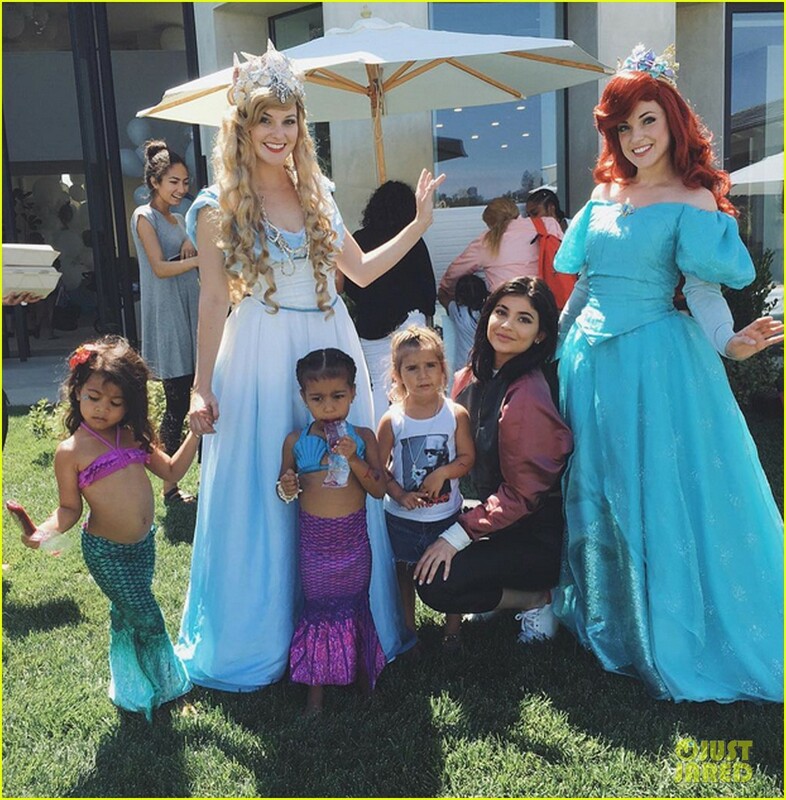 At the party by the pool, the birthday girls (North West and Penelope Disick) were wearing custom made mermaid tops and tails. 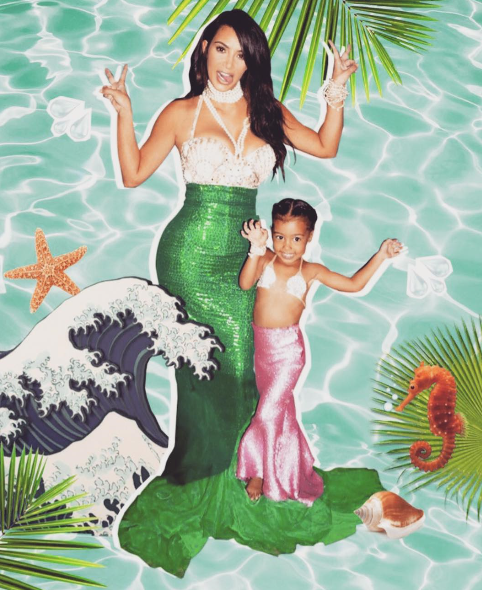 Kim herself couldn’t help herself but to also play dress-up with her little one! 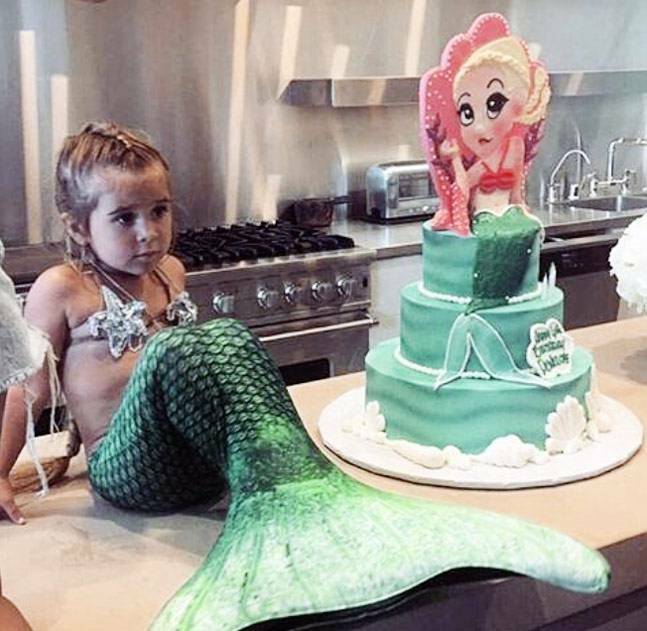 Later, North and Penelope were treated to two huge cake for each, featuring the drawings of themselves as mermaid princesses! Seems like love for a Joker runs in this family! 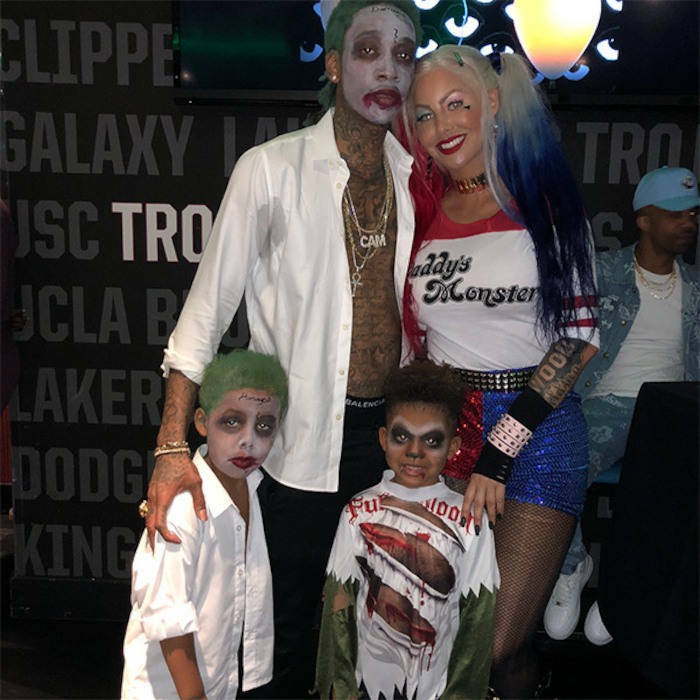 Wiz Khalifa and his ex-wife, Amber Rose, proved they are cool parents as they threw a Suicide Squad themed birthday party for their son Sebastian. According to the theme, the birthday boy and his dad both went as the Joker: green hair, white face paint and proper face-painting that read “Damaged.” The Mom, Rose, wore a Harley Quinn costume. 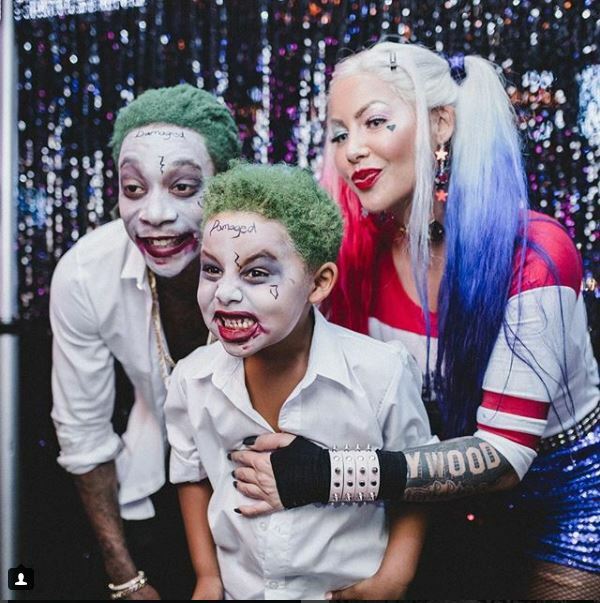 The party was attended by many celebrities and their children, who all were instructed to show their best impressions of super-hero villains. First of all, we know that DJ Khaled undoubtedly is in total love with his son Asahd Khaled. 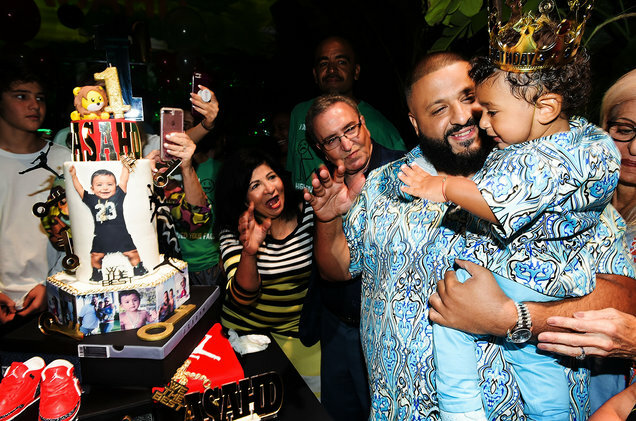 Thus, as expected, DJ Khaled has gone “Wild, Wild, Wild” when throwing a huge celebration for his son 1st birthday. The legendary Lion King themed party was hosted by P.Diddy in the famous World Liv Club. Proud Father DJ Khaled took out his son to the centre, just like Simba was carried by Rafiki when shown to the world. Throughout the whole evening, Asahd was sitting in his golden thrown with a gold crown on his head. 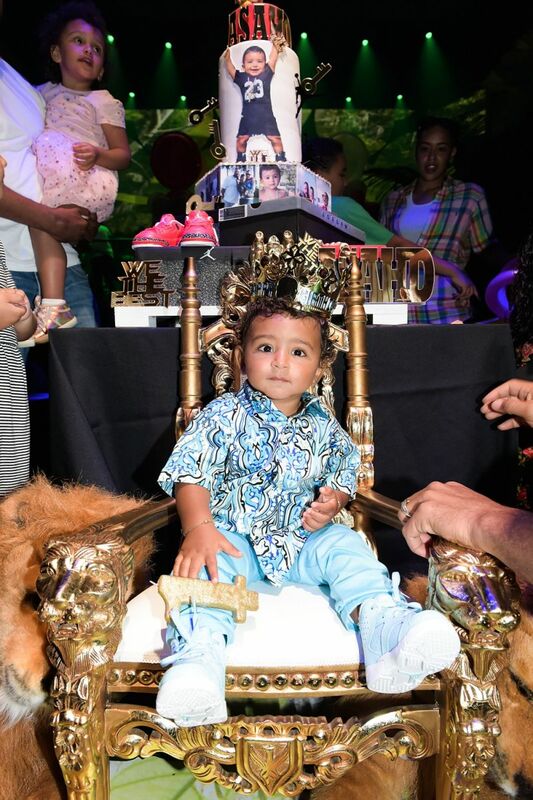 The guests were mesmerised by real animals, that were included in the entertainment, and a giant cake with Asahd’s pictures! Britney Spears had earlier shared with the press her creative kids celebrations! 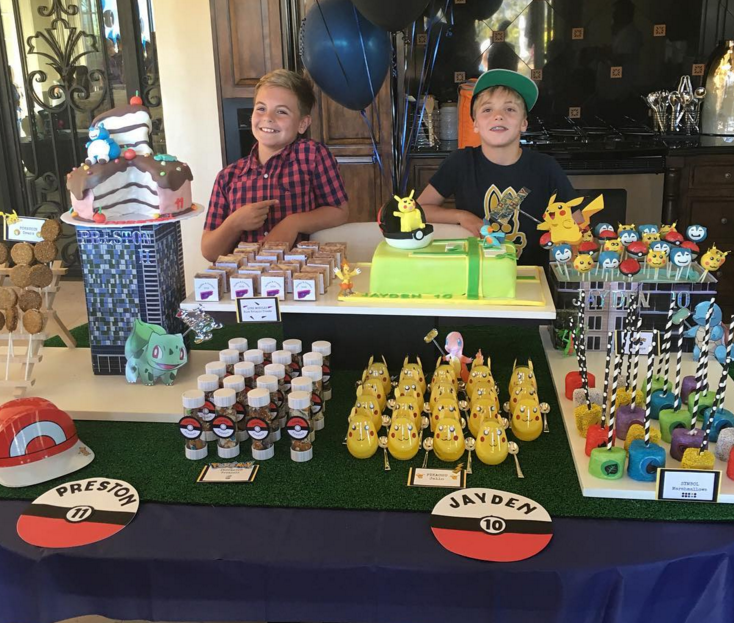 Her sons, Jayden and Preston, were obsessed with Pokémon. 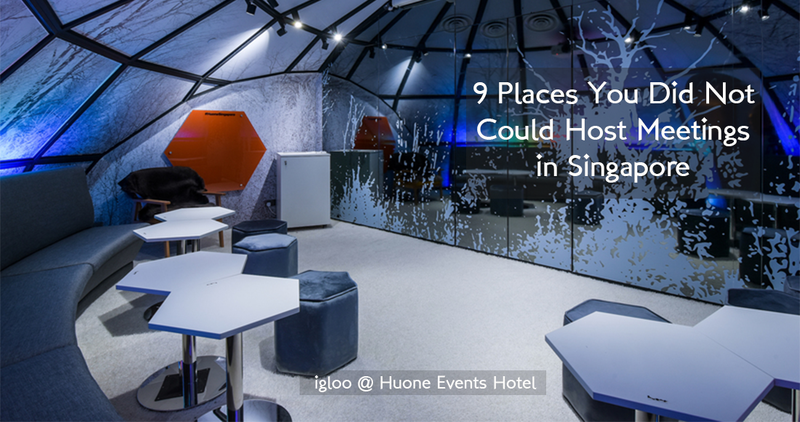 Because of that, she organised a party featuring their favourite anime characters. 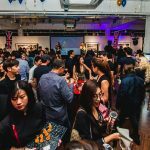 Just look at their dessert table with all kinds of Pokemon-themed goodies: Pikachu lollipops, cupcakes and gelatin, as well as Bulbasaur decorations. A PokéMOM like Britney is a real Gamer’s Dream! 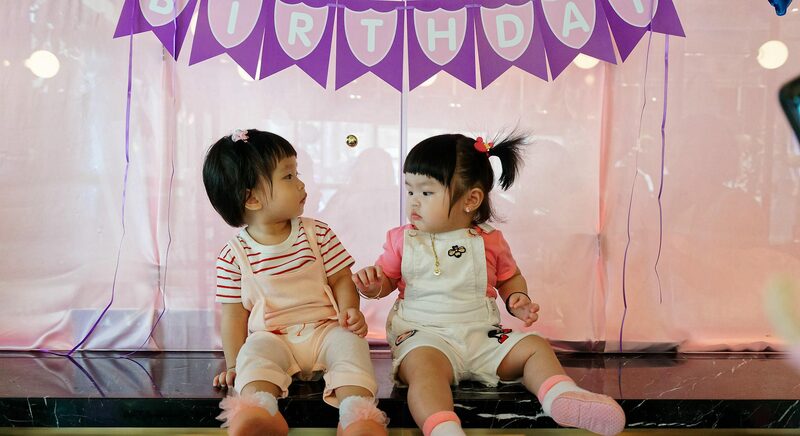 Singaporean blogger Liang May has held a lavish birthday bash to celebrate her daughter Faye’s first birthday. 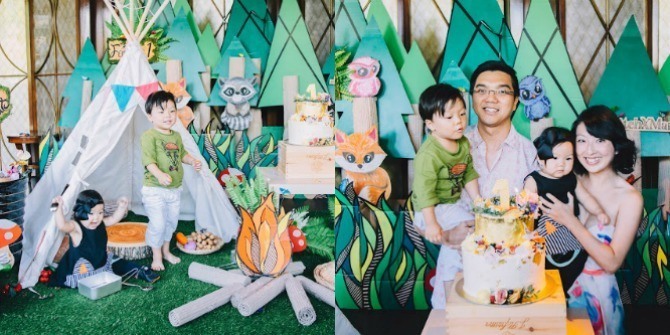 Held at the Alkaff Mansion, she chose the theme to be the “Woodland Animals”. To summarise how good the party was, the setting was complete with a cute camp in the “cardboard forest, cushioned logs, and a cardboard bonfire”! The entertainment for children included the 30 minute magic show! This list of celebrities’ kids celebrations is quite diverse and inspirational! Now you have many more theme options in your head when it comes to celebrating your own bundle of joy. 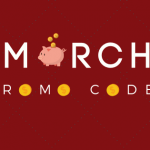 Make sure to also check out our blog on a themed 1st birthday! 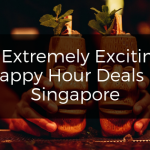 Next Article Upcoming Food National Days in Summer 2018 and Where to Celebrate Them in SG!